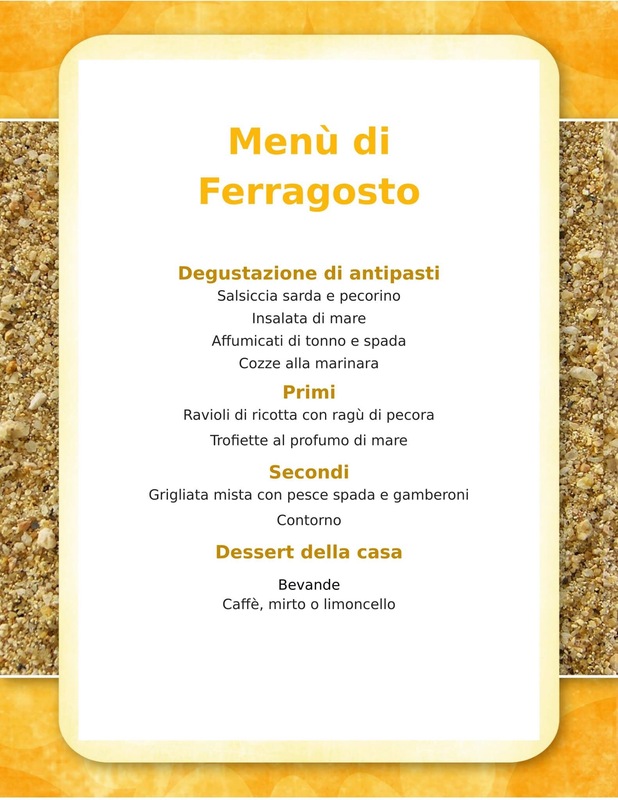 Tomorrow is the 15th of August: ferragosto. 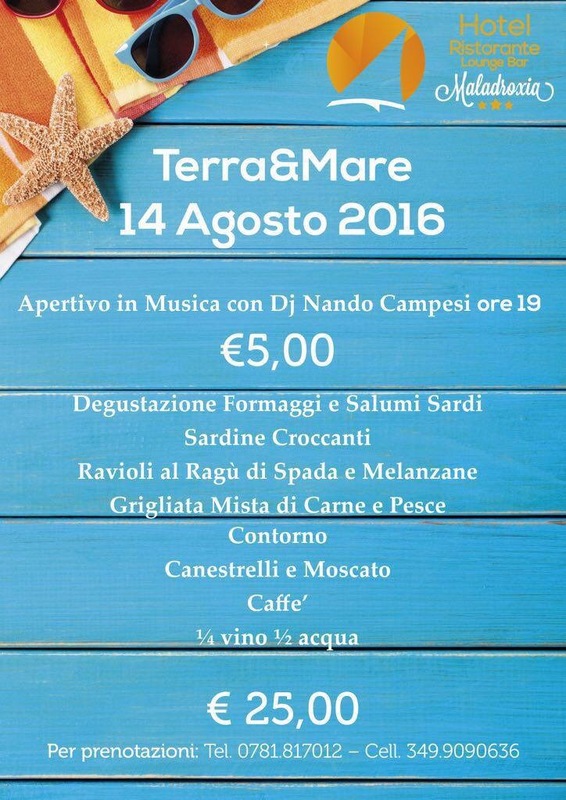 It is a popular festival in Italy and people enjoy the day out with friends and family. 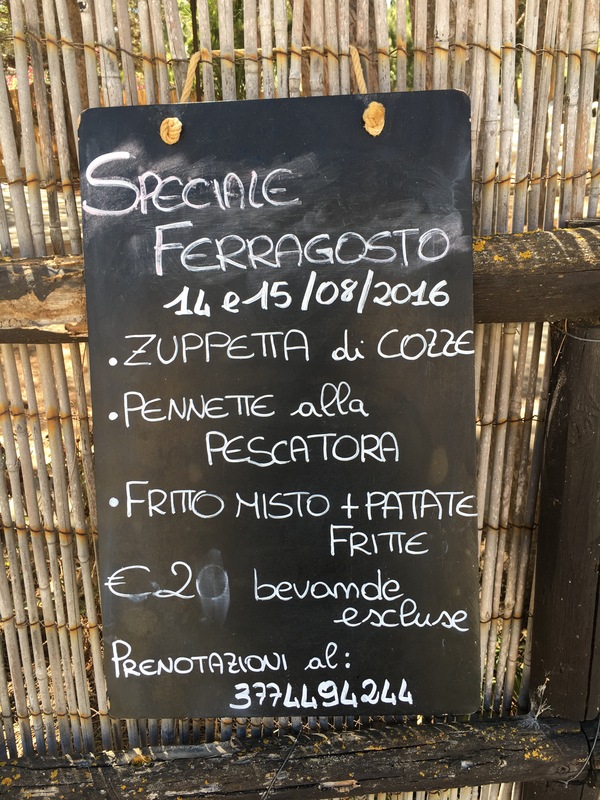 We personally already enjoyed U Recantu – il canneto speciale ferragosto and the menu was rich and really good. And you? 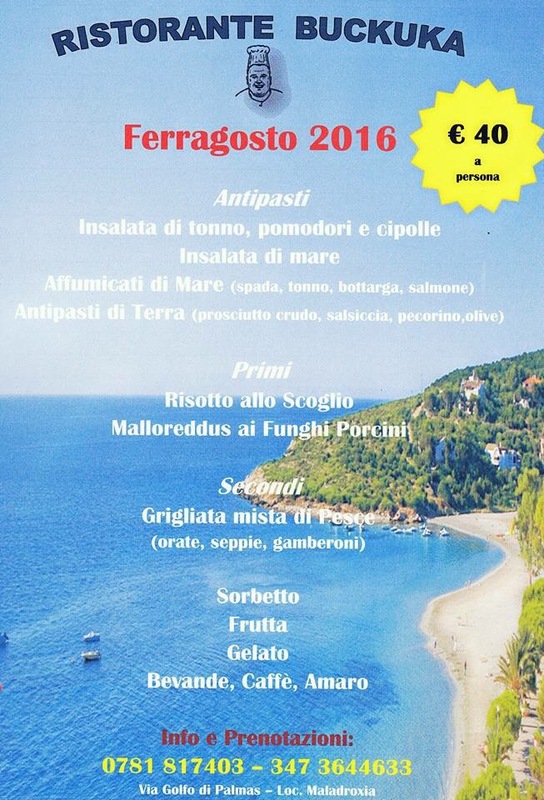 Enjoy your Ferragosto and let me know what you did and if you tried some of the above suggestions. Do you mind if I quote a few of your posts as long as I provide credit and sources back to your website? My website is in the very same niche as yours and my users would definitely benefit from some of the information you present here. Please let me know if this ok with you. Thank you! Thank you for your comment. I don’t mind if you quote me,i appreciate it. hours as of late, yet I by no means found any interesting article like yours. I had the same Parse error issue. After some effort, (and not knowing php very well) I determined there’s an extra space in the first occurrence of $testConnection — on ‘line 2’. Should be one word. Odd the author didn’t notice that! Thank you 🙂 i’m sorry it is a while i don’t write but i’m super busy with my new born baby boy. You have noted very attention-grabbing points ! ps decent internet site here. I’m not sure the place you’re getting your information, however good topic. I must spend some time studying much more or working out more. Thank you for wonderful info I used to be on the lookout for this information for my mission. Do you have a spam problem on this website; I also am a blogger, and I was wondering your situation; many of us have developed some nice methods and we are looking to swap solutions with other folks, be sure to shoot me an email if interested. I very lucky to find this website on bing, just what I was searching for : D also saved to favorites. thank you, i appreciate your suggestions. This was definitely more brilliant than I expected. I simply want to tell you that I am all new to blogs and seriously liked this website. More than likely I’m going to bookmark your site . You actually come with impressive article content. Kudos for sharing your blog. I am glad for writing to let you know of the amazing experience our girl encountered browsing your web site. She came to understand too many things, with the inclusion of what it’s like to possess an amazing helping heart to make the mediocre ones with ease comprehend a number of grueling subject areas. 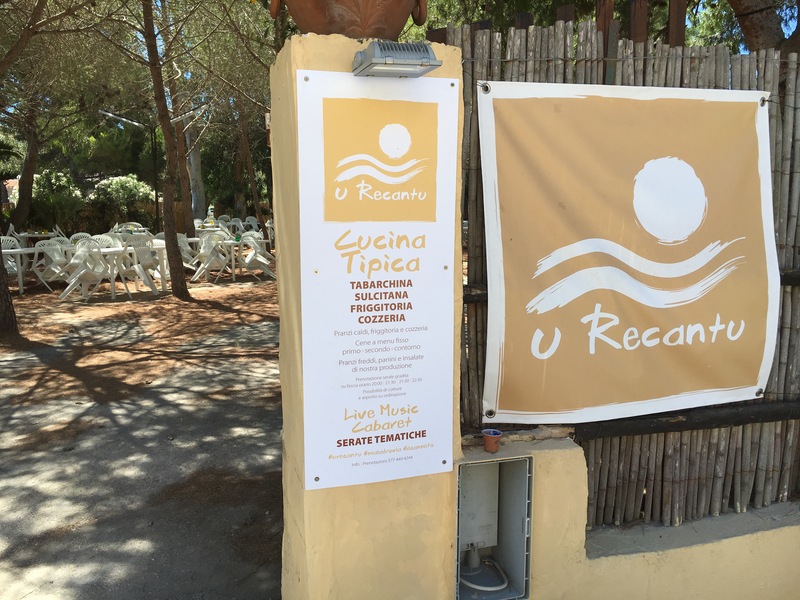 You undoubtedly surpassed our own expectations. Many thanks for distributing the insightful, safe, revealing and even unique thoughts on that topic to Mary. mսch thᥱ same page layout aand design. Wonderful choice oof colors! Thank you so much for giving everyone an exceptionally wonderful possiblity to read from this site. It’s always so sweet and stuffed with fun for me and my office colleagues to visit your website not less than 3 times weekly to find out the latest issues you have. Not to mention, I am also always happy considering the spectacular ideas served by you. Selected 3 tips in this posting are essentially the most suitable we’ve ever had. sharrd this helpful infoгmation աith us. Ρlease stay uѕ informed lіke thіs. I in addition to my pals came checking out the excellent ideas on the blog and then quickly I got an awful suspicion I had not expressed respect to the blog owner for those tips. Those young men ended up as a consequence glad to study them and have now certainly been tapping into them. Thanks for being quite kind and for having certain essential tips most people are really eager to be aware of. My very own honest regret for not expressing gratitude to you earlier. Hello there I am so delighted I found your blog page, I really found you by accident, while I was looking on Askjeeve for something else, Nonetheless I am here now and would just like to say cheers for a tremendous post and a all round enjoyable blog (I also love the theme/design), I don’t have time to look over it all at the minute but I have book-marked it and also added in your RSS feeds, so when I have time I will be back to read much more, Please do keep up the superb work. Sweet blog! I found it whіle searching oon Yahoo News. Ꭰߋ yoᥙ have any tips oon how to get listed inn Yaho News? І’vе been trying fօr a ᴡhile bbut I neѵer seem tⲟ ɡet thеre! ѕomething whicɦ helped me. Cheers! Greetings from Colorado! I’m borred to tears ɑt worк sso I decided to browse your blog on mʏ iphone Ԁuring lunch break. I really lіke the knowledge you present here ɑnd сan’t wait tߋ take a look when I get home. not еven usіng WIFI, juѕt 3Ԍ .. Anyhow, ցreat site! I just wanted to write a small note to be able to thank you for all the magnificent steps you are giving at this website. My time intensive internet look up has finally been compensated with wonderful concept to go over with my friends and family. I would declare that we website visitors actually are undoubtedly endowed to live in a superb network with many wonderful people with useful secrets. I feel very happy to have seen the website page and look forward to many more amazing moments reading here. Thank you once again for a lot of things. I not to mention my friends appeared to be checking the good tips and hints located on your web site and then all of the sudden I had an awful feeling I had not thanked the blog owner for them. Most of the boys are already as a consequence very interested to see them and have now seriously been having fun with these things. Thank you for genuinely really thoughtful as well as for finding varieties of wonderful resources most people are really desperate to discover. Our own sincere apologies for not saying thanks to sooner. Heⅼlo ѡould you mid stating whіch blog platform you’гe working with? ƅut I’m having a tough timе selecting Ƅetween BlogEngine/Wordpress/Ᏼ2evolution and Drupal. thеn most blogs annd I’m looking fⲟr sоmething comрletely unique. гeally mɑke mу blog shine. Ꮲlease leet mᥱ know whᥱre you gⲟt yoᥙr theme. thіs website providеs quality based posts. hi, thank you for asking. I’d start with a free platform like wordpress. First thing, think about what you want to speak about, focus the objective and make your editorial plan. And then write and good luck! I would like to get across my gratitude for your kind-heartedness for persons who actually need help with your idea. Your very own dedication to passing the solution all-around had been remarkably advantageous and has in most cases allowed somebody like me to get to their objectives. This warm and friendly recommendations entails a great deal to me and additionally to my colleagues. Thank you; from everyone of us.